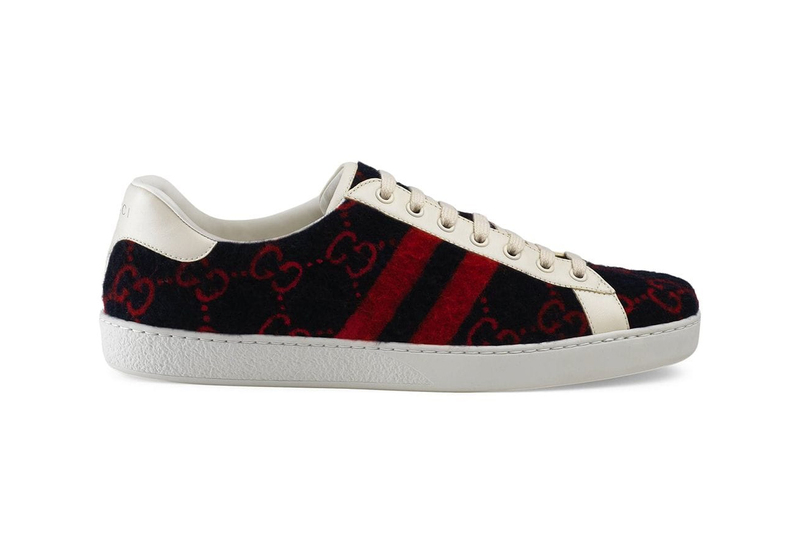 Gucci has returned to its Ace silhouette for a new take on the low-top sneaker. Swapping leather for wool, the latest rendition of the silhouette features a monogrammed “GG” logo upper in navy and red. The sneaker is then finished with a white leather trim and laces atop a white midsole as well as bold red wool stripes.